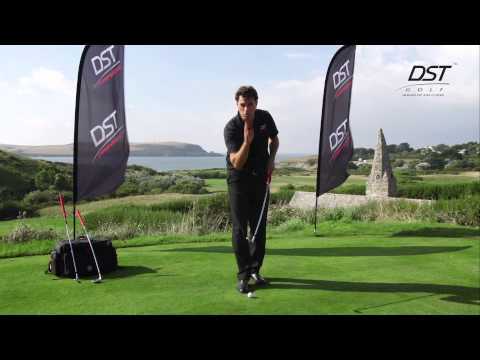 The DST Compressor Wedge warm up club comprises all aspects of the DST patent pending technology. The scientifically curved shaft replicates the shape of a normal shaft under its maximum load during impact, the DST Compressor forces you into a position where your hands lead the club face through impact and control it until after the ball has been struck. The curved shaft combined with the amended sole angle and Hand Position Alignment Marker (HPAM) enables you to locate a set up position and practice returning the club to the same position through impact every time. The DST Compressor forces you to feel the same movements and sensations as the greatest ball strikers in history and develop a repeatable, reliable movement through impact. The DST Compressor forces you to locate, train and perfect the optimal impact position.